A Researcher recently claimed that they were able to hack into a car computer system by embedding malware into a music CD. Possible ? Researchers have been claiming for years that a cars computer can be hacked via blue tooth, wireless and local connections. Various articles have been posted over the past 2 years concerning this. Last year, a small group of researchers proved that they could control a car from a remote location after breaking into the vehicle. This was big news last year at Black Hat and DEFCON. At DEFCON alone, there was a new addition to the conference called "Car Hacking Village" where top researchers were demonstrating how easy it was. People attending could sit in on demonstrations or even sit down and play with what they learned. But why disclose this information? Usually a disclosure is after manufacturers are working with Cyber Researchers and cover holes in their systems. Disclosure is usually is to inform and build a community of researchers around further discovers of other weaknesses and vulnerabilities. So yes, this is very possible. Can a vehicles computer be protected from external hacks? Absolutely. Banks to adopt ATMs that utilize smartphones for Authentication. NFC or Near Field Communication is expected to hit ATMs very soon in the attempt to cut down on Skimmers and other devices that lift your Credit Card data. Wait, NFC ? Wasn't this proven to be the ultimate tool a few years ago in skimming at DEFCON? There were rooms set up where the doorways where wired as antennas to capture RF and NFC information from any Credit Card and NFC device that was on your person. As easy and quickly as walking through a doorway. The victim was totally unaware that this was occurring. This was set up as a demo of how RF and NFC can be used against you. At DEFCON this past year (2016, DC 24) there was a demo of a new found device already hitting mainstream ATMs. This was a small device that was placed inside an ATM Credit Card reader that lifted the information right off of the new Credit Card Chips. The device was found to lift the information and transmit to a nearby listener who was there to gather information. The lifted information from the Chip was then placed onto a blank chip on a blank card and reused for purchases, etc. The Lifting device was found to have serial numbers on it indicating that these are being manufactured in a professional way. This raises the bar again at what people knew about skimmers. They thought it was rouge people creating them. Apparently not. Now back to NCF. If NFC is one of the ultimate ways to lift information, then hasn't anyone been following this Security Vulnerability closely? Will this aid the professional skimmers or deter them? Well, we are knee deep into DEFCON 24. 2 days down, 2 to go and still spotty internet service from our provider. Well, it is still DEFCON and you have to expect these things. Rouge tower? Overwhelmed providers? Or could it be more along the lines of that there is a large gathering of hackers and security people. Over 22 thousand to be more exact! With that sort of concentration of internet and computer junkies, what exactly should we expect? 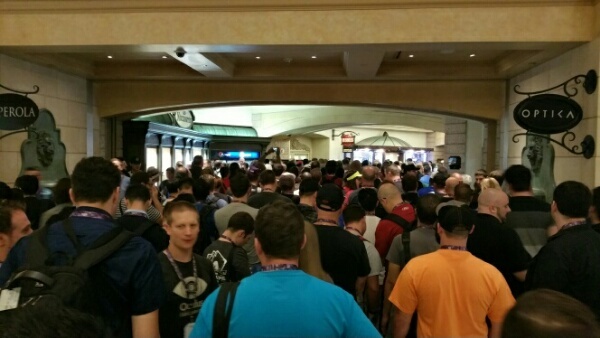 It is just one of those things, besides long lines and congestion of walking people we have come to expect ehen attending DEFCON.